Discover the Decked Out Difference! 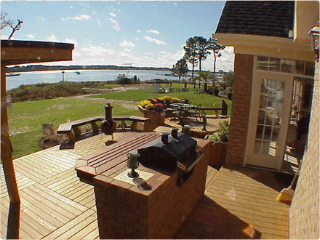 Decked Out decks are built solid and made to last. 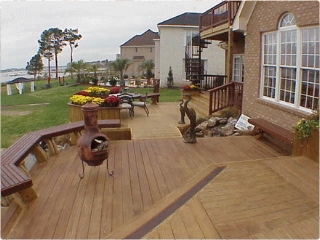 A Decked Out deck will substantially increase your home’s value. 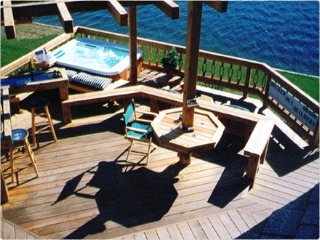 Decked Out decks are finely crafted, making an impressive addition to any home. It’s those special creative touches that make Decked Out…stand out! 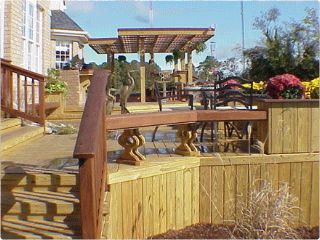 Clever accessories such as handrails and flower boxes are a hallmark of Decked Out designs. Contact us for a no-risk consultation and estimate. 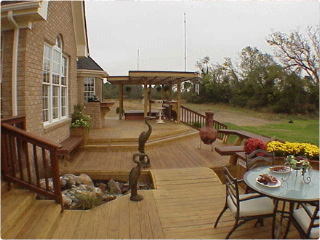 We’ll help you decide on the perfect deck, porch, or patio to compliment the architecture of your home, and make the most of your property’s assets. Decked Out offers many alternatives in building materials, including composite materials such as Trex, Azek, and Timber-Tech.